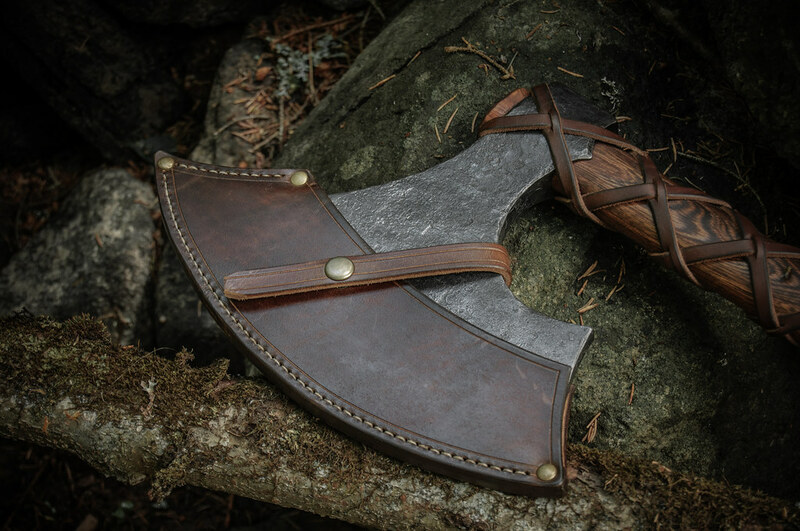 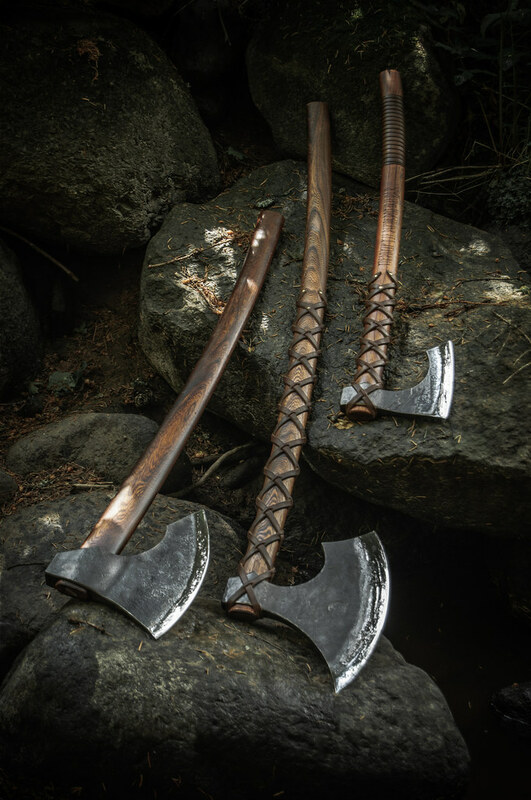 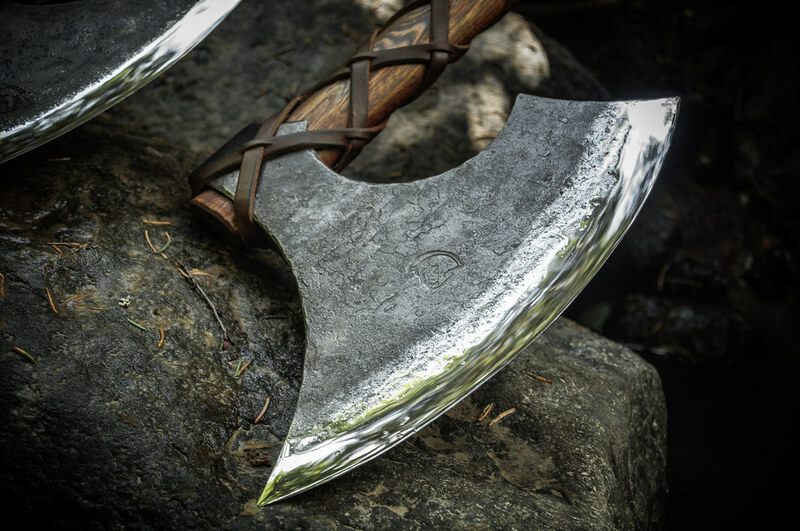 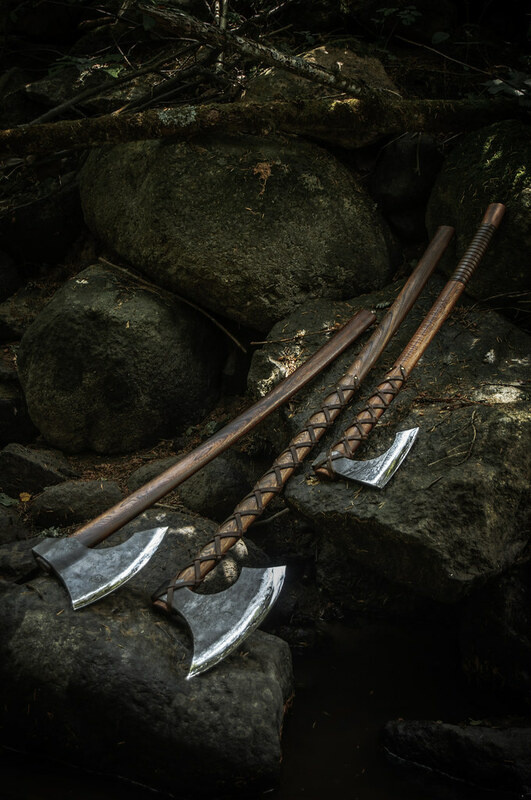 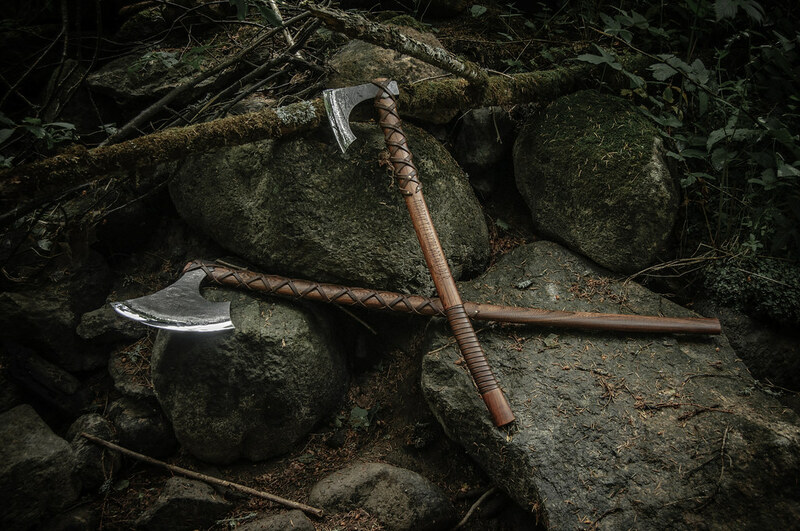 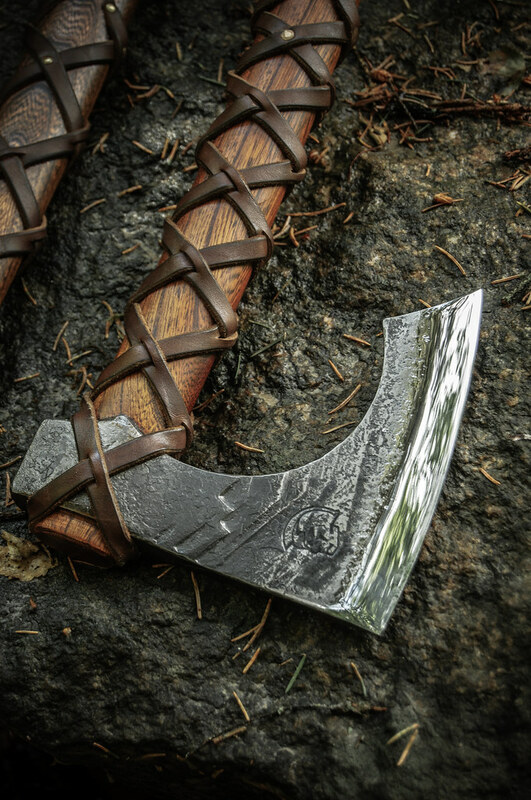 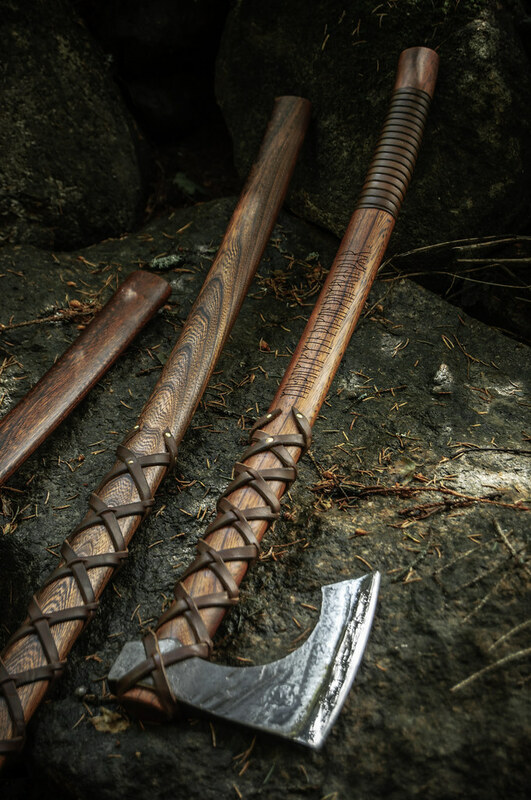 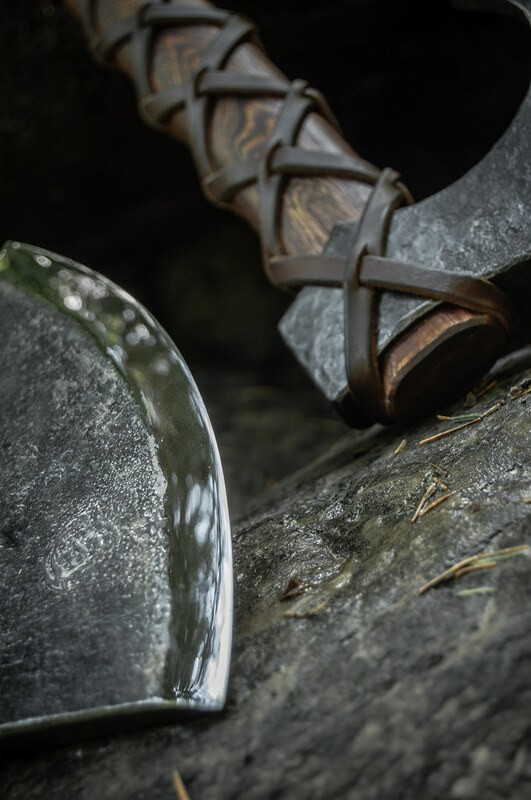 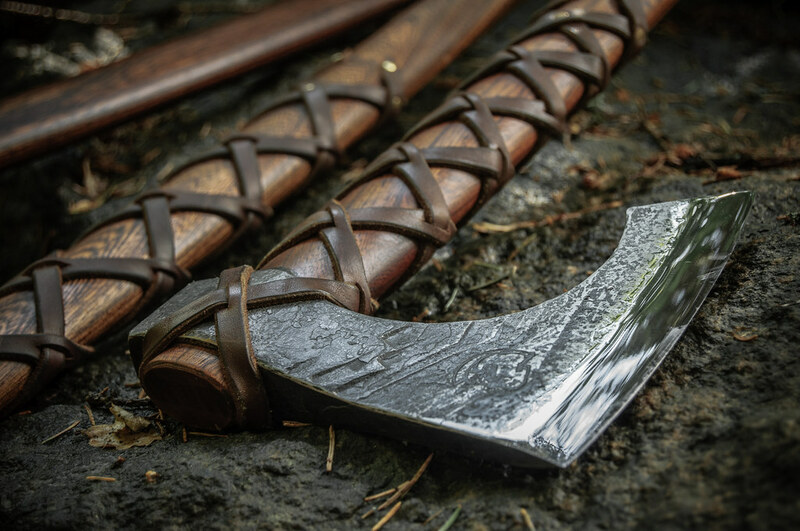 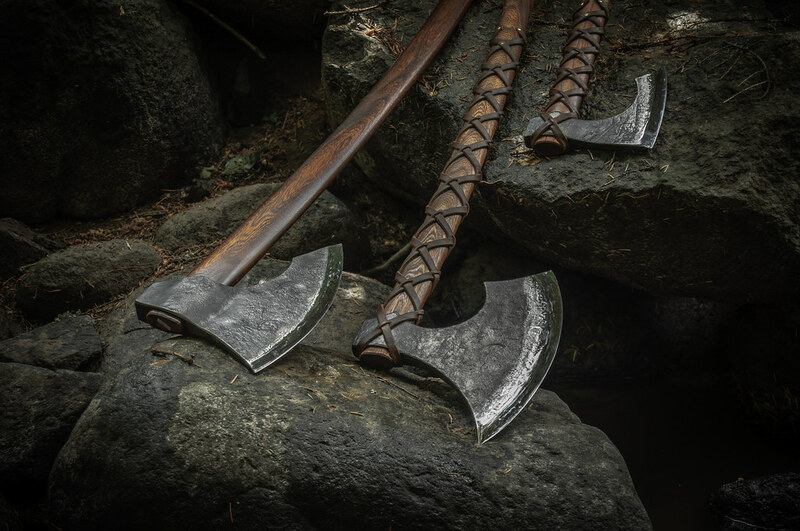 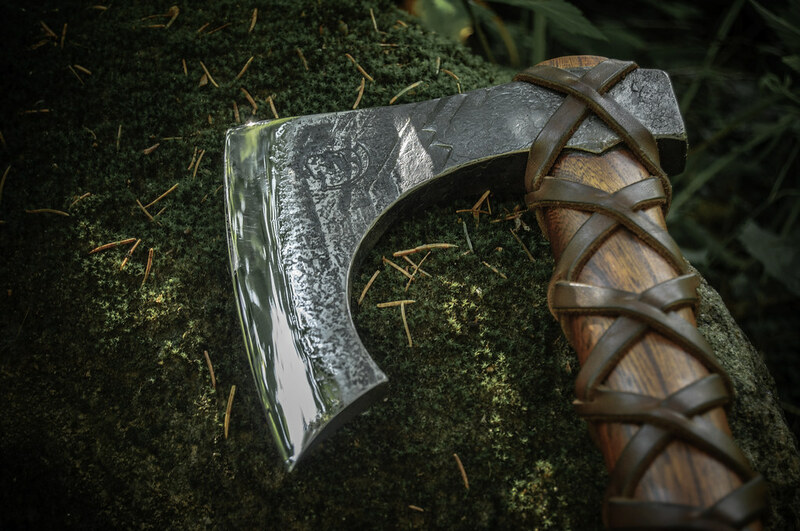 The Bearded Viking’s Axe “Defender” is designed by our bladesmith Kaspar. 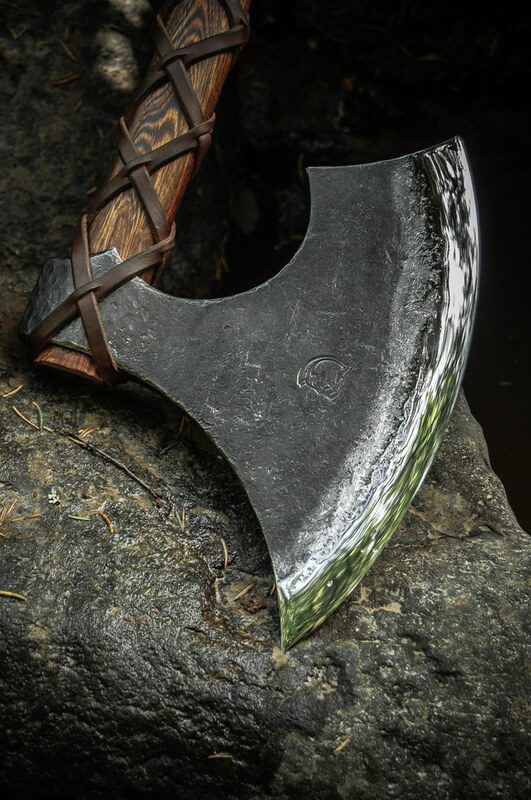 The blades is laminated, bearded design, and fitted to a slightly curved handle, with four lugs to ensure a secure hold on the handle. 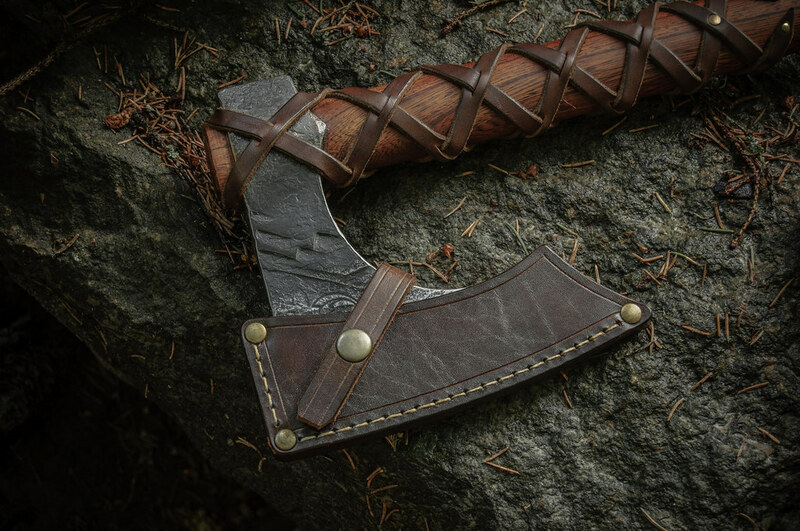 The grip of the handle is wrapped in tanned leather, embedded into the handle. 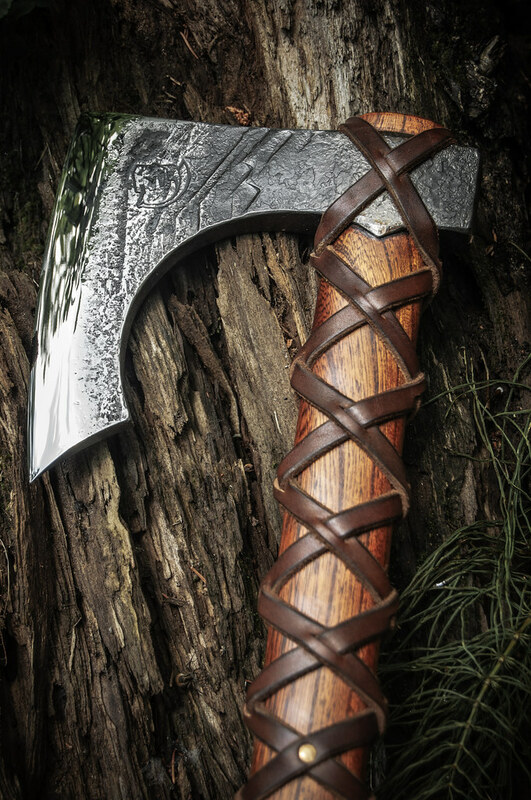 The leather is wrapped near the blade as well, for better grip there. 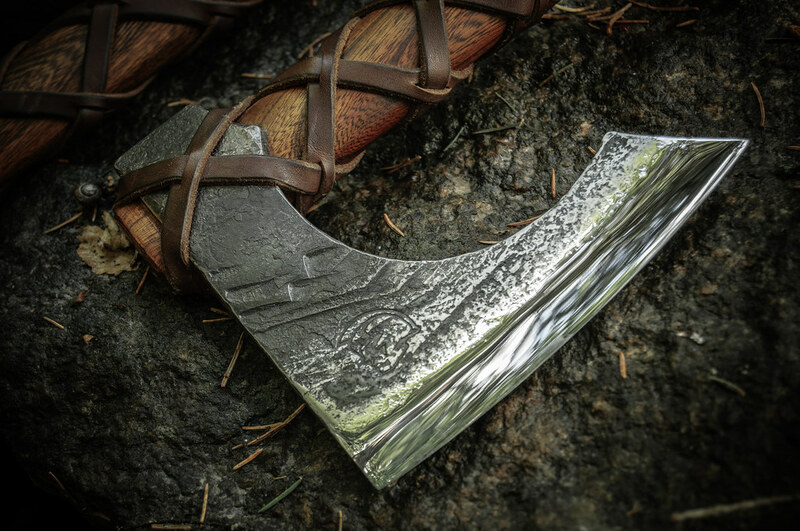 This is a one handed weapon that was likely used in place of the sword, being easier to craft and more versatile around the camp and woods or as a back up to the spear. 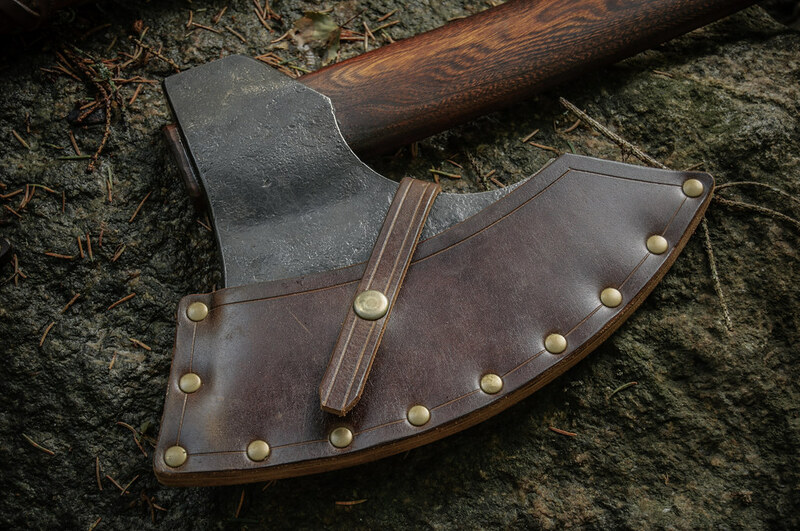 The Bearded Viking’s Axe “Defender” is considered ‘battle ready’ and should be handled with extreme caution due to its sharpened blade. 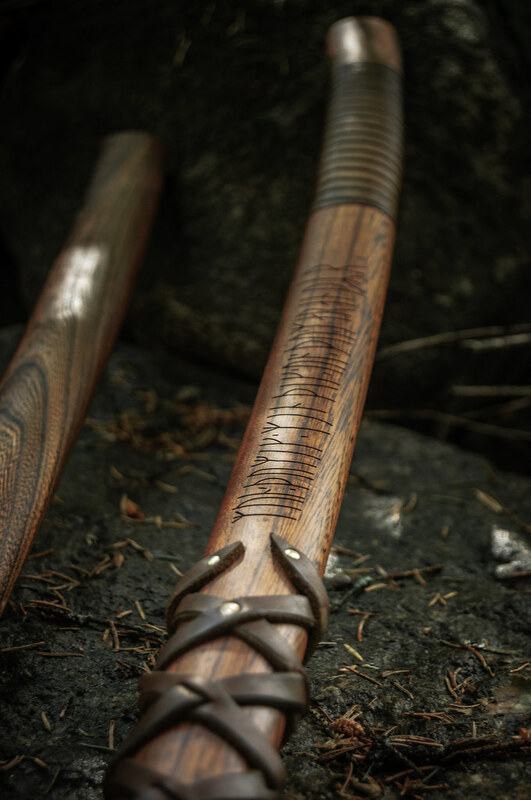 Written on the handle is an approximately 1300 years old love poem in Runes. 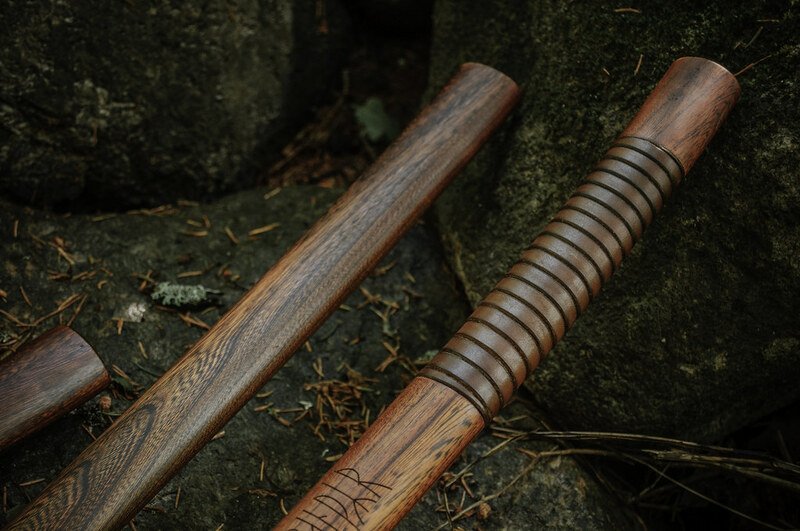 The original wood piece with this poem - a weaving knife with rune carving lays in the Swedish History museum.